The literal meaning of Qur`an is `reading` or `recitation`, or `to collect`. The Noble Quran is a collection of all knowledge and of the fruits of the previous divine revelations; and it, also perhaps, refers to the collection of letters and words which form the divine written statements which are regularly recited. The Qur`an has numerous names and titles, such as, “The Noble”, “The Glorious”, “The Sublime”, “Full of wisdom”, “possessing eminence” and “containing remembrance”. 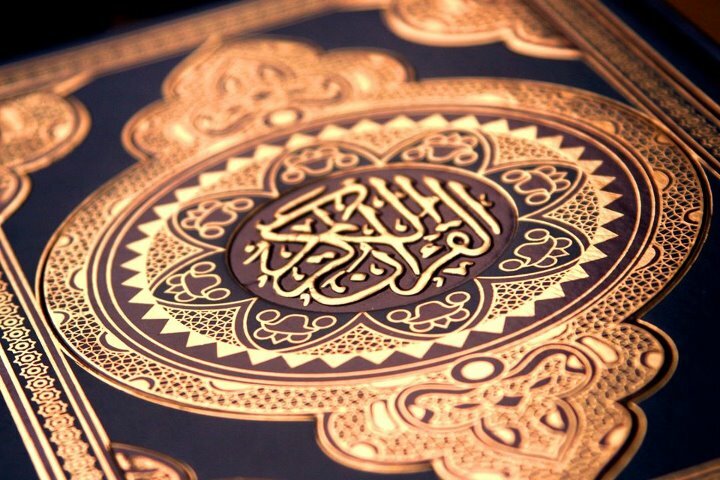 The Quran in its entirety comprises the speech of God which is a message of guidance for all of humanity. It was revealed to Prophet Muhammad (peace and salutations be upon him) through the Angel Jibril (Gabriel). The Qur`an is the last of all revealed books. It was revealed in the Arabic language. God has promised to protect it from any changes or harm [15: 9]. The Noble Qur`an predominantly contains beliefs; legislation and narratives of previous messengers and happenings. 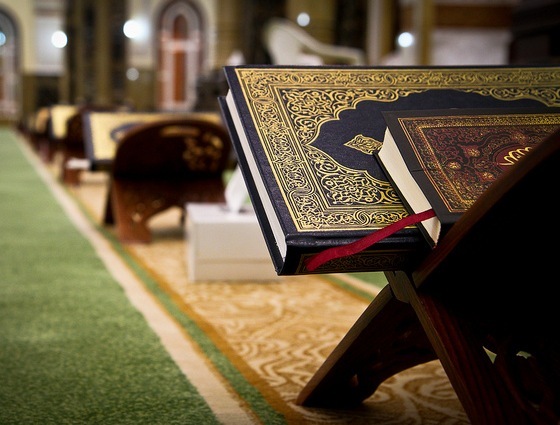 The Qur`an consists of 114 surats (chapters), over 6000 verses, about 80,000 words and about 323,000 letters. The longest surah is the 2nd surah and the shortest surah is the 108th surah in the Noble Qur`an. The Quran was later on divided into 30 parts which are known as juz. This division is not based on meaning but to simplify teaching The Qur`an especially to children. The revelation was in three phases. The Qur`an was initially recorded in al-lawh al-mahfuz (the Preserved Tablet – [Qur`an, 85:21-2]) after which it descended to al-bayt al-ma`mur (directly above the ka`bah in the first sky) on the Night of Power in the month of Ramadhan in its complete form [Qur`an, 2: 185; 44: 3 & 97: 1]. Then it was revealed upon, an-nabi` al-ummi, the unlettered Prophet (peace be upon him), through the medium of angel Gabriel gradually over a span of about 23 years [Qur`an, 26: 192-4]. Its mere recitation and even listening to it is a form of worship. The Noble Qur`an was documented in book form and was transmitted to us in succession. During the lifetime of the Prophet (peace be upon him), the words of the revelation were written down immediately as they were revealed on whatever the companions could find; however, it was not collected wholly in a book format. During the caliphate of Abu Bakr RA, after the loss of several companions who had memorised the Qur`an in the Battle of Yamamah and after the subsequent persistence from Umar, Zayd bin Thabit RA was chosen to collect the Qur`an into one manuscript. Zayd RA was able to successfully compile the first ever copy of the Quran while adhering to strict guidelines. During the caliphate of Uthman RA, the Islamic Empire grew and more people accepted Islam and many started to differ in their recitation. Hence, Uthman RA wanted to unite the Muslim nation and thus wrote to all provinces to destroy all other copies and use the official copies of the Qur`an prepared by four elected companions who used the master copy written during the time of Abu Bakr RA. Every mus`haf (written copy of the Qur`an) that we have today is written according to this mus`haf of Uthman RA. Note: The reciter of the Qur`an must be free from at least major impurity in order to recite the Qur`an and free from even minor impurity to touch the Quran. [56: 79]. One should recite the Qur`an with a beautiful, melodious voice with tartil (slow, fine tone) while pondering upon the meanings and realising that Allah The AlMighty is listening to his communication with Him.